Going by media reports from last week, free plays and related discounts from online gambling operators are going to be subject to a new tax that takes effect from 1st August, 2017. The tax has been discussed widely, with different stakeholders in the industry voicing their opinions about its implications. The new taxation regime was removed from the Finance Bill 2017 previously, but now it seems like it is back and will be implemented after all. calculating the tax due from them. The current UK law concerning such bonuses does not have them up for taxation and operators can use such bonuses to incentivize new players as well as existing ones. The UK Government has explained that this would, however, change so as to align regulations with the General Betting Duty which has been taxing the free plays for a while now. The Finance Bill was originally introduced in the UK parliament in March 2017. However, in April, MPs removed the tax conditions and other legislative sections due to the limited time they had to discuss the issues before the general election. The UK securities firm Cenkos Securities foretold of the legislation about free plays being re-introduced to the Finance Bill if the conservative party won the election. True to their prediction, selected parts of the legislation will be re-introduced and others revised. The legislation will be part of the Finance (No.2) Bill in the MPs’ original form. The bill will get Royal Assent in September or October and will be enacted retroactively. This is to say operators with a UK license will be subject to the RGD as from 1st August, and the first 3 months of accounting will be considered as from that date. 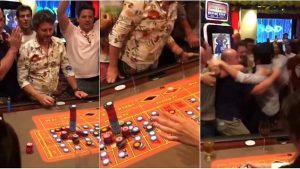 Major players in the online gambling scene have aired their discontent with the legislation, which gives them less than a month to get ready. Since December 2014, operators for the UK market have been paying a 15% Point of Consumption tax regardless of their location. 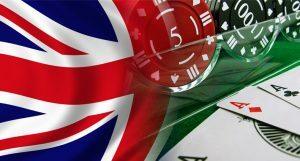 According to preliminary estimates by the UK Government, the new tax could generate an added £345 million from the online gambling industry in the period between 2017 and 2021. As the new tax regime is set to become effective, operators will have to adjust their approach to the idea of freespins.